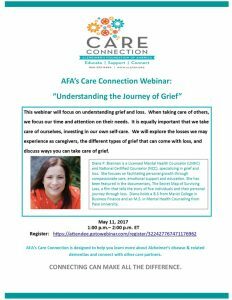 This webinar will focus on understanding grief and loss. When taking care of others, we focus our time and attention on their needs. It is equally important that we take care of ourselves, investing in our own self-care. We will explore the losses we may experience as caregivers, the different types of grief that can come with loss, and discuss ways you can take care of grief. 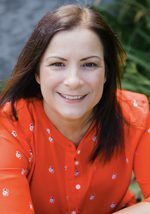 Speaker: Diane P. Brennan is a Licensed Mental Health Counselor (LMHC) and National Certified Counselor (NCC), specializing in grief and loss. She focuses on facilitating personal growth through compassionate care, emotional support and education. She has been featured in the documentary, The Secret Map of Surviving Loss, a film that tells the story of five individuals and their personal journey through loss. Diane holds a B.S from Marist College in Business Finance and an M.S. in Mental Health Counseling from Pace University.